RRB Ajmer Recruitment 2018: Railway Recruitment Board is the organizations that work for the Indian Government. These recruitment boards manage and provide employment to the eligible candidates to work in the Indian Railways. There are 21 Railway Recruitment Boards spread across different parts of India. In this article, we are going to provide you with the information about the RRB Ajmer. RRB Ajmer JE Recruitment 2018 – RRB Ajmer is going to announce the RRB Jr. Engineer Recruitment 2019 on its official website. The candidates who are interested will be able to check the official notification for the complete details. Recruitment Notification is yet in the internal processing where the authorities are finalizing the number of vacant posts. The Official Notification for RRB Ajmer JE Recruitment 2018 -19 will be announced on 24th December 2018 (tentatively). The candidates will be updated about the new release. 02/01/2019 Latest Update: RRB Ajmer JE Application Form is released. Click on the link and Fill your Application form before 31/01/2019. RRB Ajmer JE Online Form 2019 will be soon released on the official website of Railway Recruitment Board of Ajmer. The candidates will be able to check and download the official notification from the official website of RRB and 21 regional RRBs’ official website. RRB Ajmer JE Online Form can only be filled by the eligible candidates. If the candidate does not fulfill the eligibility criteria they will not be able to fill the online form. RRB Ajmer Jr. Engineer Application link will soon be activated here. 26/12/2018 Latest Update(RRB Ajmer JE Recruitment): RRB has released the official notification for RRB Junior Engineer 14,033 posts. The candidates can read the notice in PDF below. Update (21.09.2018) – RRB has released an official notification for increase in ALP Vacancies. The ALP and Technician Vacancies have increased from 26, 502 to 64, 371 vacancies. The link to select exam trade and modify account details is live from 22nd September (11:00 Hours) to 1st October 2018 (23:59 Hours). The Junior Engineer Recruitment from RRB Ajmer has been released for 14,033 posts. The candidates are advised to check the dates for the RRB Ajmer JE Application Form 2019. The Applications will be carried out in the month of January 2019. All the candidates are required to check if they clear the eligibility criteria before filling the application form. Following dates are announced. Railway Recruitment Board will soon announce the RRB Ajmer JE Vacancy 2019 for the candidates. In the official notice for the recruitment drive, candidates can check the RRB JE Vacancy, RRB CDMS Vacancy, and RRB CMA Vacancy. it is advisable to wait for the official notification for the release of the confirmed RRB Junior Engineer Vacancy 2019. Search for the link of notification of RRB Ajmer Jr. Engineer. Fill in the details that are required in the RRB Ajmer JE Application Form 2019. RRB Ajmer has released the Admit Card for Group D today (13th September 2018). Candidates whose CBT has been scheduled from 17th September to 16th October 2018. Candidates can download the RRB Ajmer Group D Admit Card by entering their Registration Number and Date of Birth. The RRB has made some changes in the Self- Declaration paragraph. There will be no self-declaration paragraph in RRB Group D Admit Card. There will be a self-declaration paragraph displayed on the screen. Candidates have to write the paragraph on the space provided in Railway Group D e-Call Letter. RRB Ajmer has released Mock Test LInk for Group D Applicants. Click here to take Railway Group D Mock Test. RRB Ajmer will release RRB ALP Objection Tracker to raise an objection to the answer provided by RRB. Click here to Login. The Railway Service Commission, Ajmer was established in the year 1983 which was renamed as Railway Recruitment Board Ajmer in the year 1985. The Railway Recruitment Board Ajmer functions under the Ministry of Railways, Government of India. It is primarily responsible for recruiting the working and supervisory staff (Group C) and Group D under various categories for all the Railway establishments falling under its jurisdiction. RRB Ajmer has a Chairman, Assistant Secretary and a Member Secretary and non-Gazetted staff. North Western: Headquarters Office of North Western Railway, Jaipur, Ajmer, Jodhpur and Bikaner Divisions. 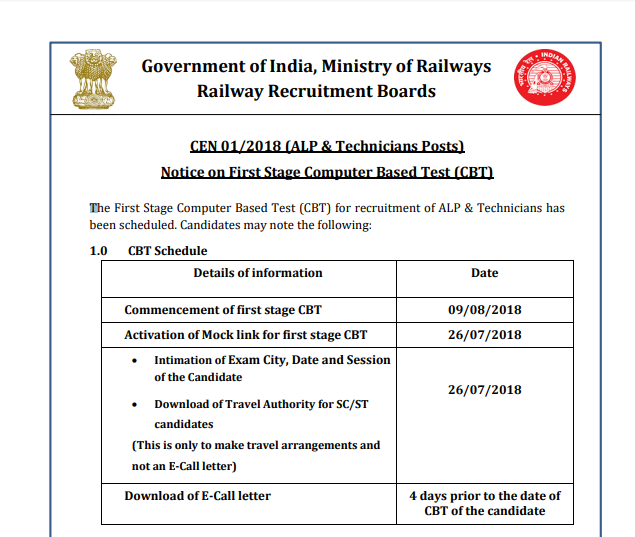 RRB Ajmer has already released RRB ALP Admit Card 2018 for First Stage CBT. The RRB Ahmedabad Admit Card will be released 4 days before the date of the examination. The Railway Loco Pilot Admit Card of RRB Ajmer will be released online only. The RRB Ajmer ALP First Stage CBT has been started from 9th August 2018 to 31st August 2018. The RRB Ajmer will release the RRB Loco Pilot Admit Card 4 days before the date of the examination. Candidates can download their RRB Assistant Loco Pilot Admit Card by entering their Registration Number and Date of Birth. The Railway Loco Pilot Admit Card is a mandatory document that has to be carried by the candidate. The RRB Ajmer ALP First Stage CBT Hall Ticket will carry all the important details about the candidate and examination. The RRB Ajmer is now conducting an online recruitment exam in 2018 for all those candidates who have cleared their Bachelor Degree from a well-recognized University/ Institute. The candidates can apply for various available positions according to their educational preferences. RRB Ajmer is about to release recruitment notification for various positions in the railway department. Total Number of vacancies for Group D Posts in Ajmer Region is 4755 Vacancies. The Railway Recruitment Boards has released an official advertisement CEN 01/2018 for RRB Ajmer Assistant Loco Pilot (ALP) and Technician Jobs. The Recruitment Boards are offering approx. 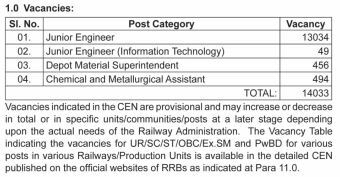 17, 849 Posts under the Assistant Loco Pilot Job and 9170 vacancies for Technicians Posts. The details of the recruitment notification and the online application will be uploaded in all the 21 RRB Official websites. The online application has been started 28th Feb 2018 and the last date of filling the online application form is 31st March 2018 (23:59 hrs). So, if you are preparing to get into the Railway Jobs, then you are at the right place. The Assistant Loco Pilot helps in driving the train. The job requires continuous attention and the high degree of dedication and responsiveness. He/she has to assist the driver in performing the duties including calling out the signal as soon as one is sighted. He/she also looks after the fine- tuning Loco and attending minor repairs of the Loco. Your responses to the situations will be tested by an aptitude test and the candidates who reach the expectation of this Railway Examination will be posted as Assistant Loco Pilot. A signal maintainer or a Technician has to work indoors as well as outdoors where the Railway signaling installations are provided. He has to maintain the Block instruments and panels that are provided at the Station Houses, Points and Crossings provided at the outdoor where the rails are joined, Gate signals. The work includes normal maintenance and attendance during any failure. The Technicians works under the control of Junior Engineer (signal). The candidates who are applying for this job must have passed the matriculation or the equivalent examination under 10+2 from a recognized Government board or institution. Must have done ITI from a recognized SCVT/NCVT in the related trade. The candidates who are holding a Diploma in Mechanical/ Electrical/ Electronics/ Automobile Engineering approved by AICTE. The age limit for Technicians Post is 18 years to 28 years and for ALP it is 18 years to 30 years. The upper age limit is relaxable under, subject to the submission of the requisite certificate. 5 years of age relaxation will be provided for ST/SC Candidates. 3 years of age relaxation will be provided for OBC Candidates. For the Ex-Servicemen candidates, up to the extent of service rendered in Defence, plus 3 years, provides they have put in more than six months of service after affection. 5 years of age relaxation is given to those candidates who have been domiciled in the state Jammu and Kashmir during the period 01.01.1980 to 31.12.1989. The pay- scale of RRB Ajmer ALP and Technician is Level 02 of 7th CPC Pay Matrix with an initial payment of Rs 19, 900/- plus the other allowances as admissible. Visit the Official Regional RRB Ajmer Website and check for the ALP Recruitment 2018 Notification. Click on the link which says “CEN01/2018 or CEN 02/2018 RRB Ajmer ALP Recruitment 2018”. After clicking on the link, the online application will be displayed on the screen. Fill in all the required details and upload the photo and the signature. After the completion of all the application requirement, submit the online application form. Click on the Link “Apply for CEN 01/2018” for the Recruitment of Assistant Loco Pilot and Technicians Posts. After this, Click on the “New Registration” link. Register yourself first. Enter your Name, Date of Birth, Father’s name, Mother’s name, Aadhaar number, State, Community, SSLC/ Matric, Mobile Number and e-mail ID. Before submitting the registration form, ensure that all the information that you have provided is correct. After the submission of the registration form, the user id and the password will be sent to the candidate. A One Time Password will be submitted to the candidate’s registered mobile number and e-mail ID along with the registration details. In the Part-2 of the Application Page, the candidates have to provide the educational qualification, community, gender, religion, ex-servicemen, PWD etc, Age Relaxation and other details. After providing the above details, the candidate is redirected to the payment page. The payment can be done online through net banking/credit card/debit card and offline such as Bank Branch challan or Post Office Challan. If you are making the payment online, then you will be redirected to the Part- B additional application filling details. The candidates who are making the payment through SBI Challan/ Post-Office Challan, have to provide the details of the beneficiary account. After the completion of Part I section of the Application Page, the candidates have to fill in the details of the educational qualifications, choice of the examination language of the first and second stage of CBT, Mother Tongue, address and other details. Upload the scanned photograph as per the specifications mentioned. The passport size photograph should be in colour and the background should be in white color. The dimensions of the photograph must be 35 mm x 45 mm with name and date printed on it. Should be in JPEG/JPG Format in 100 DPI. The photograph size must be between 15 Kb to 40 Kb. If the candidates belong to ST/SC Category, then they have to upload their scanned caste certificate. The scanned copy of the caste certificate must be in JPG/JPEG Format and the file size must be in between 50 Kb to 100 Kb. You can also avail a free travel authority as well (Second Class Railway Pass). At Final Stage, The candidates have to confirm the declaration and submit the application form. The candidate must take out the print out of the Application Form and preserve it for the reference and record. For ALP Posts, the Application fee is Rs 500 for General Category and Rs 250/- for the Reserved Category (ST/SC/PWD/Women/OBC). The Exam for RRB Ajmer ALP and Technician (CEN 01/2018) is conducted in two stages. The First Stage CBT, The second stage CBT and the Final Computer Based Aptitude Test and the Document Verification as applicable. The total stage of the first stage of Computer Based Test for both ALP and Technicians is 60 minutes and the number of questions available will be 75. The percentage of marks will be relaxed by 2% for the Person with Disability candidates. The candidates who have qualified the first stage CBT will be able to appear the second stage CBT exam. The Part A Examination will be of 90 minutes and the number of questions available will be 100. The marks scored in Part- A will be used for shortlisting the candidates for the further stages of the recruitment procedure subject to the condition that the candidate is securing qualifying mark in Part-B. The total time duration of the Part-B Examination is 60 minutes and the total number of questions asked is 75. The Qualifying marks for this Part-B is 35%. (applicable to all the candidates. No relaxation is applicable). Now, if the candidate clears both the Stages of Examination, then he/she is shortlisted for the Computer Aptitude Test. The Computer Aptitude Test will be only for those candidates who have opted for Assistant Loco Pilot. The ALP Merit List will be prepared on the basis of the candidate’s score in the Aptitude Test with 70% weightage for the marks obtained in the Part-A of the Second Stage CBT and 30% weightage of the marks obtained in the Computer-Based AT. 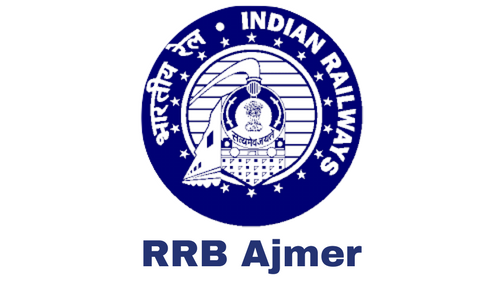 The Result of the RRB Ajmer ALP will be uploaded to the official website. The results will be announced after 3-4 months of the online examination. RRB Ajmer has released Official notification for Railway Group D Recruitment 2018. Railway Board indicates 62907 vacancies for various Grade IV posts in Level-I of 7th CPC pay matrix. RRB Ajmer invites Online Application Form eligible candidates for the Posts – Track Manager (Trackman), Helpers, Gateman and Pointsman under RRB Ajmer CEN 02/2018. The details of the recruitment notification and the online application will be uploaded to all the 21 RRB Official website – rrbajmer.gov.in. The Online Application for Railway Group D Recruitment 2018 starts from 10th Feb 2018 and the last date of filling the online application form is 12th March 2018. So, if you are preparing to get into the Railway Jobs, then you are at the right place. The candidates who fulfill the eligibility criteria of the Group-D Recruitment 2018 are eligible to apply for Group-D Posts. The Railway Department do not check the eligibility criteria at the time of the examination. Document to prove the eligibility will be required at the time of the document verification. Relaxation in the upper age limit will be applicable for the Reserved Category students. The details regarding the Relaxation criteria will be notified of the detailed version of RRB Ajmer CEN 02/2018. The candidates can apply for this posts online in the Official Website. A separate website will be launched for the application of this Recruitment. The application link will be updated in the respected RRB Ajmer official website. Each website of the zones and divisions will have separate apply online links. The RRB Ajmer Group-D Online Application 2018 Link will be available as per the schedule. The reserved category candidates must note that their application fee of Rs 250/- will be refunded after deducting the bank charges after they have appeared for Computer Based Test.